We hope that you’ll enjoy the Festival this weekend and come away having heard some fabulous acts that you’ll follow for years to come! 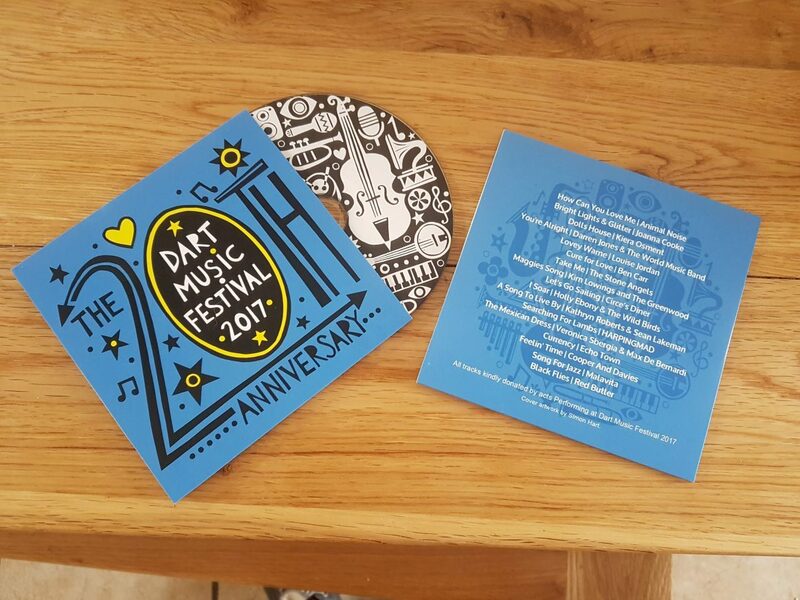 To remind you of what a wonderful time you had at the Dart Music Festival, seventeen of the acts that are performing have contributed a track to the 20th Anniversary CD, which will be available from the merchandise tent at a cost of just £10. The Guildhall: Animal Noise, Kim Lowings and The Greenwood, Veronica Sbergia and Max De Bernardi, Red Butler. Market Square: Joanna Cooke, Louise Jordan, The Stone Angels, Echo Town. Bayards Cove Fort: Kiera Osment, Darren Jones & The World Music Band, Circe’s Diner, Cooper & Davies. The Flavel: Holly Ebony & The Wild Birds, Kathryn Roberts & Sean Lakeman.